Wood Wise is a design-build remodeling company that provides the design and planning services as well as construction for your project. Over 600 projects completed in our 28 years in business. Eric S. Perry Design & Build, Inc. 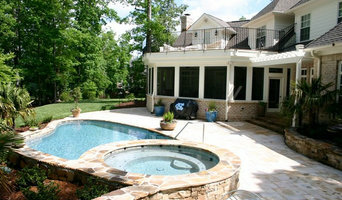 Welcome to the Home Page of the Finest Custom Homes, Additions and Remodeling Projects in North Carolina!.. Estimates are always free!..I welcome you to thoroughly check us out! I'm happy to provide references!.. No matter what the project we are your best option!.. Whether it be Amazing one of a kind Custom Homes, Additions, Kitchens, Baths, Stock and Custom Cabinetry. We can make it happen from design to budgeting to finishing up the project... ON BUDGET!... ON TIME!..... My problem solving skills are second to none! We design projects that are beautiful, unique and built specifically to your individual budget. Why are we the best choice? we do ALL!.. our own finish work in House!..My employees and I do all the Trim Carpentry, Tile Work, Stock & Custom Cabinetry, and Decks. On smaller remodel projects we do pretty much everything! Because of this, I’m able to deliver the finest quality product at the very best price!..... I’ve been in the construction business for 28 years. I’m a graduate and holder of an associates degree in Construction Technology from Ranken Technical College in St. Louis. I worked for a short time as a field carpenter before being promoted to foreman. For two years I was a Foreman and eventually became Superintendent of the largest historic Rehab/Remodel company in St. Louis. I operated a framing & Boxing and siding company for a couple of years after that. We moved to the Triangle area in 1997. For the first 7 years I worked exclusively in High end Custom Luxury Homes as a Trim Carpentry / Custom Cabinetry contractor. In 2004 I got my North Carolina Residential Contractors License. In the last 12 years we have done a wide variety of projects everything from Custom Homes to Custom Furniture. The one constant in all our projects is our committment to Quality and Service!.. Our design work has produced countless Elegant, highly functional, Cost effective spaces. I welcome you to check us out! 35+ years Custom Designed homes, Design/ Build Remodeling, Additions, Renovations. 3D CAD design allows you to see your project before it is built! Stuart, the President, works directly with you and manages the Job site, "One to One with You". I have a very keen eye with color, textiles and custom upholstery, which I attribute to my grandpa Bajerski. He and his brother Walter were master upholsters, and sold Lane furniture in their store Artistic Furniture in Chicago, Illinois on Milwaukee Avenue. Naturally, kitchen and bath renovations became part of my services, as my neighbors were renovating their older homes and bungalows inside the Beltline. I quickly learned how to manipulate older, run-down spaces with color. Turn-of-the-century homes and those from the 1940s and 1950s have no storage options, limited closet space, tight common areas. Decades of field experience is an advantage in honing ideas to match client expectations. Over the years, I’ve had the distinct pleasure of serving my clients through high-end retail furnishing vendors such as Norwalk the Furniture Idea, Masterlooms rug importer, dilly dally, Eatman’s Carpet and Interiors and Arhaus Furniture. I believe this is a clear distinction, which sets me apart from most, as I have lots of experience with custom specialty applications, both retail and wholesale to the trade. This provides me with an edge for buying and sourcing, and it allows me to offer realistic expectations for clients, both financially and quality for craftsmanship. Today, sourcing materials is critical. There’s a tremendous value-added benefit for being socially conscious, and focusing on quality versus quantity. When you’re afraid of making a mistake, you don’t have an unlimited time line, or maybe, you require an educated direction for long-term planning, then you want an excellent listener who creates original ideas, and provides instinctive insight specific to your needs. You want Adryin Glynn Designs. When you’re working with Adryin Glynn Designs, you are guaranteed to love experience … room by room. At Paradise Found Construction, we’re dedicated to providing affordable custom remodels that fulfill your vision, and create a home that is uniquely yours. We partner with homeowners, scaling features to align with your budget. Choosing custom design and construction allows you the flexibility to get everything you want — and nothing you don’t. Our passion is to help you create your personal Paradise in your home. We work closely with you to understand Your Vision and leverage our vast experience in residential design to bring it to life in a 3D Color Visual Design, and then turn it into your finished masterpiece.We promise to be transparent and reliable to help you along each step of the way. WE SPECIALIZE IN: HOME ADDITIONS AGING IN PLACE KITCHEN REMODELING BATHROOM REMODELING ATTIC AND BASEMENT FINISHING SUNROOMS AND SCREENED PORCHES HEALTHY HOMES PERFORMANCE RENOVATIONS We have been helping families in the Triangle Rediscover the Paradise in Their Homes since 2009. Our best in class Warranty Guarantee is a statement of our confidence that our work will stand the test of time, and knowing that our work will represent who we are long after we’re gone. We offer “standard” as well as advanced technical residential solutions for renovations and new construction, including High-Performance and Innovative solutions, Aging in Place (Universal Design) and Special Needs. We excel at integrating cost-effective and short-term return on investment solutions for energy and water efficiency, healthy indoor air, building materials durability, and environmentally responsible building materials and conservation techniques into new and existing homes. *Preferred Showplace Cabinetry Dealer* Quality Design &amp; Construction, Inc. began as a dream for Dave Mackowski. He had always been “Daddy’s Helper” when he was growing up remodeling homes. After relocating to North Carolina from Erie, PA he met and married Peggy. The company Dave worked for had major layoffs, and he decided it was time to finally pursue a lifelong dream of starting his own remodeling firm. Peggy Mackowski worked for a major credit union during the day and assisted Dave with scheduling and bookkeeping. Shortly after Hurricane Fran, Peggy joined Dave full time in the business. Dave’s philosophy in the home improvement and remodeling industry is for Quality Design & Construction to perform work that he would find acceptable on his own home. He has worked diligently to instill this in all employees in the company. His engineering background allows for some out-of- the-box creativity in their projects. Quality Design & Construction has a Construction Designer on staff with a degree in Interior Design and Architectural Science and also an Interior Decorator to ensure the homeowners’ vision becomes a reality. Dave says, “By personally hiring and training our full-time staff, we have greater control over timeliness, precision and accuracy throughout the entire course of the project. Our team is supplemented by some of the finest craftspeople in the industry. From concept through completion, we make it our business to keep your remodeling experience as pleasant and stress free as possible.” Certifications Include: (CGR) Certified Graduate Remodeler, (CAPS) Certified Aging-In- Place designation from the National Association of Home Builders & (CGB) Certified Green Builder. Satterwhite Construction Inc. is a custom new home builder in the Triangle Area of North Carolina. I’m Glenn White, owner and operator of Complete Construction Company. As a design - build remodeling firm with or over 36 award-winning years, my team and I have been renovating custom structures throughout the Triangle, NC area. And we don’t just build there. We live there. Some of our jobs have even been for neighbors and friends and friends of neighbors. What this means is that we are not some big box entity looking to override your construction dreams. We are a part of this Triangle, NC community, and quality workmanship isn't a just a goal -- it's a standard. Design and construction has always been my passion, and the folks on our team are the same way. Together at Complete Construction we form an experienced team of high-quality designers and craftsmen ready to make your custom remodel dreams come true. At Complete Construction, we literally treat every home as if it’s our own. Our team will always look for the best solutions, materials and options for our clients. We also believe that greatest testimonial to our work are the homes themselves and the past and present references of happy homeowners. So please enjoy the pictures and customers throughout this site. And remember our motto: If you can dream it, we can build it! Sigmon Construction is a design-build firm with over 30 years of experience in home building, remodeling, and renovation. For custom new homes we offer design services and fixed price contracting performed by our experienced project management team. We have a wide array of expertise in home residential projects and our attention to detail is unmatched. Our blend of both residential and commercial skills prove to be beneficial to all projects and make us unique in our market. Because our goal is to build a relationship, no job is too small for our team and this commitment allows us to always take care of our clients. Let us help make your dream home a reality. First and foremost, a Silver Developers classic home is built to last. Because every home is built to the environment, site specific, and built with classic techniques and materials, it is a home that will truly last a lifetime. A house is far more than a home. It’s where life memories are created and shared. Attention to the smallest details, integrity and dedication to thinking outside the box is what Silver Developers is founded on. Write up your dream list, we’ll make that list become a reality! Silver Developers is a construction firm based in Raleigh, NC. Licensed in NC, SC, TN, and VA as a Commercial builder. Vince DeFreitas, President of Silver Developers has acted as the general contractor and project managed the construction of numerous residential & commercial projects. Vince is also licensed as a NC real estate broker. Jeff Fike, President and Owner of JFBuilders & Associates, is a second generation builder with over thirty years experience. With his companies he has built more than 300 homes and completed more than 100 additions and renovations in the Wake County area. Jeff has been a licensed and insured General Contractor since 1985. Bost Custom Homes is an award-winning, premier luxury design-build firm serving the Triangle. Each and every Bost home is a dream home brought into reality by honoring our client's vision from design to closing. We pride ourselves on building timeless architectural designs and lasting relationships with our homeowners and trades. We strive for excellence in all that we do with integrity, innovation, and calculated execution. Our showcase-quality homes, estates, and remodeling projects are carefully crafted, designed to meet the unique characteristics of the property and homeowner. Using innovative techniques such as masonry framing, continuous insulation, recycled building materials, and FreeRain© rainwater harvesting systems, we strive to build the highest performing and efficient luxury homes in the market. Our building process revolves around the dynamic needs of our clients, and reflects the ever increasing need to be environmentally sustainable. Additionally, our attention to architectural authenticity, structural integrity, and quality execution has earned us numerous awards over the years. For more information, please visit www.bosthomes.com or call (919) 460-1983. Lida Carlson is the owner, designer and licensed contractor of L Design/Build. Robby Carlson works on the site supervision and material flow to make sure that each project runs smoothly. She and her husband work together to turn their client’s vision in to reality. 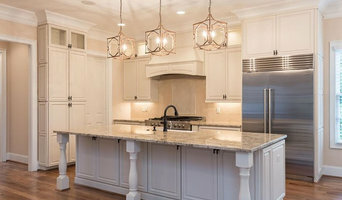 Since 2000, L Design/Build, formerly known as Wakefield Builders, has been the most trusted design build firm in the North Raleigh and portions of Wake Forest areas. In the beginning, focused efforts on Wakefield Plantation and Wakefield Estates, were the basis for the strong design/build firm known today as L Design/Build. Lida is very hands on from the beginning planning phase, to designing, all the way through to the completion of your project or your new home. Lida’s goal is to make every client feel comfortable and excited about the design and construction process. She is there from start to finish to achieve her clients’ visions. After a successful career in clothing design while raising her 2 boys, Lida started her business in new construction homebuilding and has been in the business working on all forms of renovations/additions/new construction for more than 25 years. L Design/Build is different than most design/build firms in that Lida can take your desires and needs, draw them up, then work with an incredible team while using Robby’s vast experience from both the construction and inspections portions of the process … making L Design/Build the contractor that gives you the expertise needed to make the job right and look good at the same time. L Design/Build feels strongly that home building and renovating should be a good experience and aims to make it so for every client. Tingen Remodeling, LLC is a NC licensed general contracting firm that provides custom remodeling services ranging from bathrooms to whole house renovations. With over 20 years in the building industry, owner, Will Tingen has gained experience not only in custom home building and remodeling but also in disaster renovations. As a customer you can be assured there is no project that the Tingen Remodeling team cannot handle. Design-build companies take on the responsibilities of architects, contractors and construction companies, all under one roof. These full-service firms focus on a streamlined process — from the initial design to the estimating phase to physical construction — in the hope of creating an efficient experience for both the client and the company. Because the entire project is happening within one company, design-build firms are able to overlap the design and construction phases of the project, which oftens speeds up the project significantly. In addition, these firms work to minimize risks for the project owner through single-point responsibility contracts. However, depending on the firm, you may still want to contact an interior designer or architect to help create the exact look you want. Here are some related professionals and vendors to complement the work of design-build firms: Interior Designers & Decorators, Landscape Architects & Landscape Designers, Architects & Building Designers, Photographers. Before deciding on a design-and-build firm, think about what you want from your new home. Do you want a large kitchen for entertaining? Do you need several bedrooms for children and guests? Do you want a finished basement for extra space or storage? Look for aNorth Carolina design-builder who specializes in the areas you're looking for. Budget is obviously a determining factor in the outcome of your project. To make sure you stay within your means, consider making a must-have list and a wish list. Gauge where the estimates are falling to determine which design-and-build contract can realistically strike the balance between the two. Find a design-build firm on Houzz. 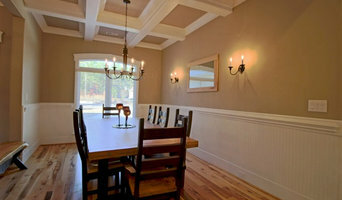 Narrow your search in the Professionals section of the website to Raleigh, NC design-build firms. You may also look through Raleigh, NC photos to find a pool you like, then contact the design-build firm that created it.